In the event you have owned your automobile for any length of time, then you will likely start to see issues with the automatic windows start to arise. If you are seeing these or other issues with the operation of your auto windows, then you should definitely give the team at Express OC Auto Glass a call today to help take care of your car window repair service today. Our company has been open for more than 10 years and counting now, and we know how to take care of the full range of car glass issues that may arise in the Yorba Linda area of Southern California. We can also take care of your windshield crack repair service needs in just about any safe location that is convenient for your daily schedule in our city. For most repair services that we do, it will take our expert technicians approximately 30 minutes to get the job done. For complex repairs, it will take us up to 45 minutes to finish our work. No matter what, our customer service staff will always give you a solid estimate on the total length of time that the service will take before showing up to take care of the job. 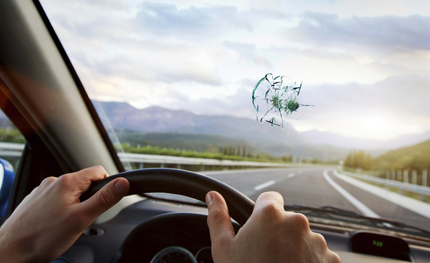 We are one of the most reliable auto glass repair shops that you will find around our city. We also like to help our customers determine what type of service will be most appropriate for their needs. All you need to do is give us a ring when you have a moment, and we’ll go out of our way to help take care of you. Our company policy is to always provide you with a free estimate if you ask, so call today to see what our team can accomplish for you.